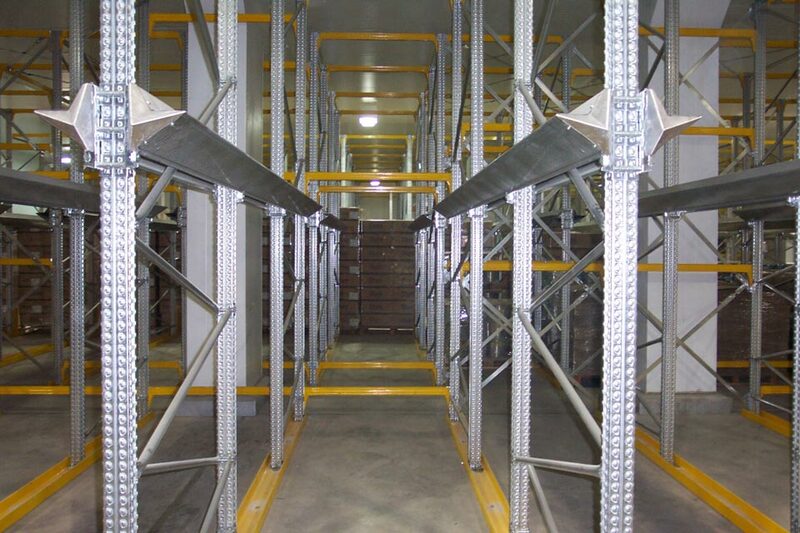 The Drive In racking system allows the maximum use of floor space, and volume due to the elimination of access aisles making this warehouse racking very efficient. 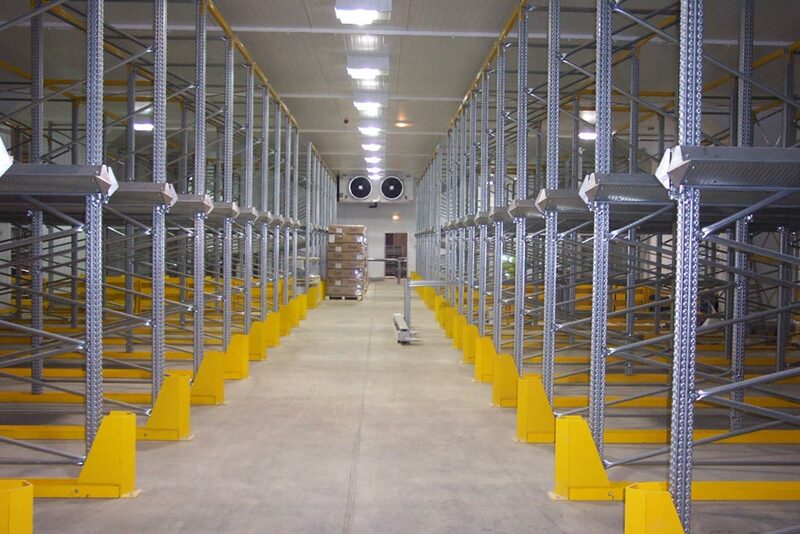 Drive in racking allows a lift truck to enter the rack from either side to pick up or pull out pallets. Loads are supported by rails attached to upright frames, and lift trucks are driven between uprights to reach pallets. This is done because pallets can slide backwards on a continuous rail. It’s open at both ends, allowing first-in, first-out storage. Drive Through Racking offers the ability to store a large amount of similar loads in a smaller area. Selectivity is sacrificed, but storage density is enhanced since many pallets are stored and are available through a single pallet position. Requires loads of a similar width. 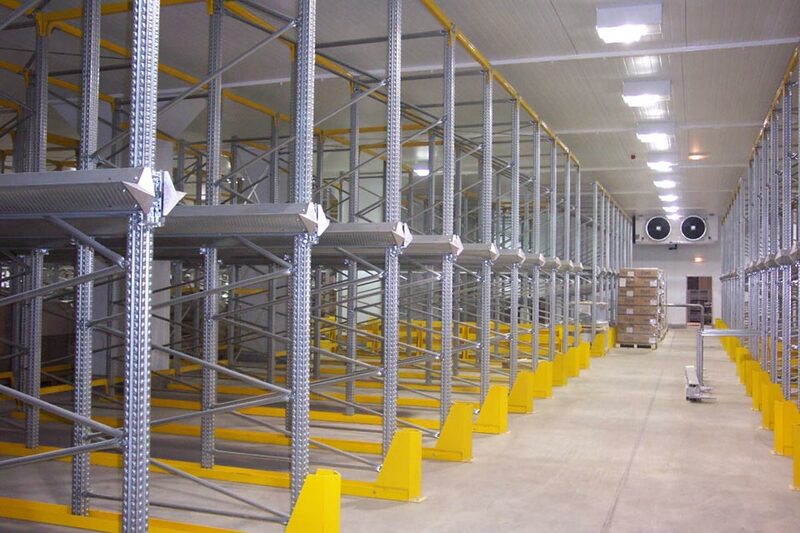 Storplan has installed Drive In racking and Drive Through Racking in a number of cold storage applications, due to the need to store as many pallets as possible in as little expensive freezer space as possible. Drive In Racking and Drive Through Racking is ideal when you have seasonal items that move quickly out of your inventory, when you have a large amount of similar items that can be stored in a single pallet position and accessed last-in – first-out basis or If you don’t store a wide variety of loads in the rack. 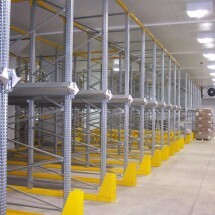 For more information on drive in racking or other warehouse racking solutions please contact our sales department.